If the conference you need to register for is currently open for registrations through Ex Ordo, you'll register directly from the My Registration card on your dashboard. You'll see this as soon as you login. 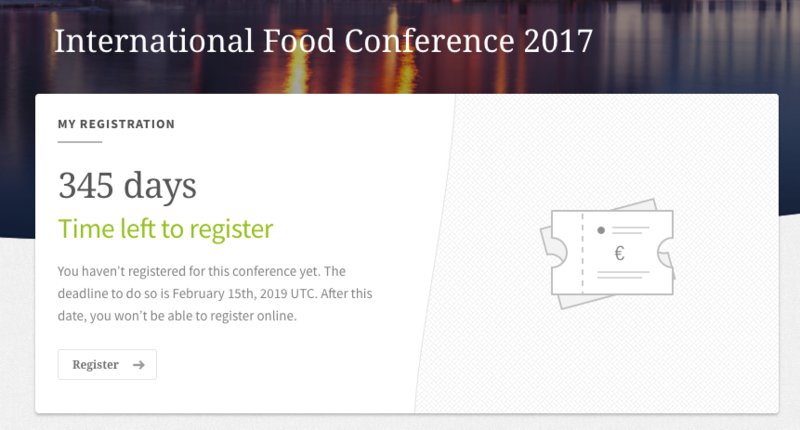 However if this card isn't visible when you login, the conference either hasn't opened up for registration or the deadline for registering has passed. If the conference has not yet opened the system to collect registrations, you will not have the option to register on your dashboard. 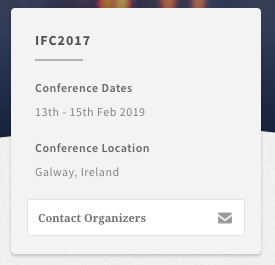 You can contact the conference organisers over this if you'd like to find out more directly from your dashboard, as below. If you miss the registration deadline you'll see the below card on your dashboard explaining that registration is closed. You can contact the conference organisers who may able to take your registration at this point.